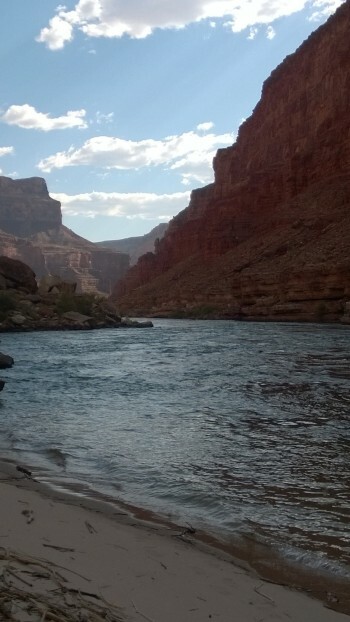 Clearly, the canyon and the river are the reasons for the trip in the first place. They are a matter of fact. What differentiates a good trip from a bad trip is the execution and the group. In my experience, the Western River guides went far and beyond and made the trip for all of us in the group. They were professional and caring, entertaining and knowledgeable. It is not easy to take 17 or so people put them into a boat and expect to have no issues, but that is exactly what my experience was and believe it was due to our guides; Cory and Lindsey. They deserve all the credit. Of course there is also the great boats, the food, the Colorado River and the Grand Canyon that should also be called out. Two days later, I am still smiling and reliving the experience.